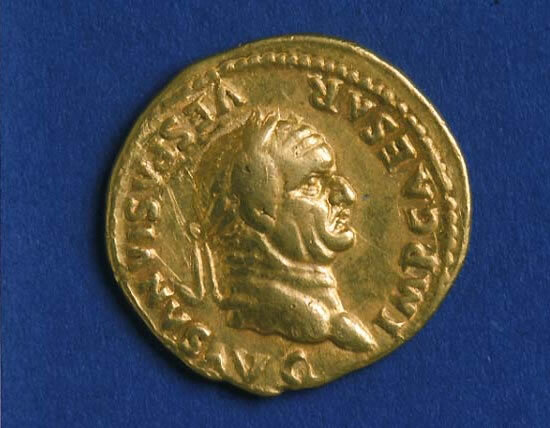 Emperor Vespasian, full name Titus Flavius Sabinus Vespasianus was born 9 A.D, in Sabine Reate, near Rome. He lived in a poor family. During the middle of the 1st century ad he commanded a legion in Germany and in Britain and conquered the Isle of Wight. In 66 he campaigned against the Jews in Judea. Upon being chosen emperor in 69, he left the war in Judea to his son Titus and returned to Rome, where he restored the government and the public finances. It was rumored that he made most of his money illegally, but most Romans respected him very much. After the capture and destruction of Jerusalem by Titus in 70, the world was at peace for nine years. He developed of a more extensive educational system, and of course began the construction of the Colosseum in Rome. 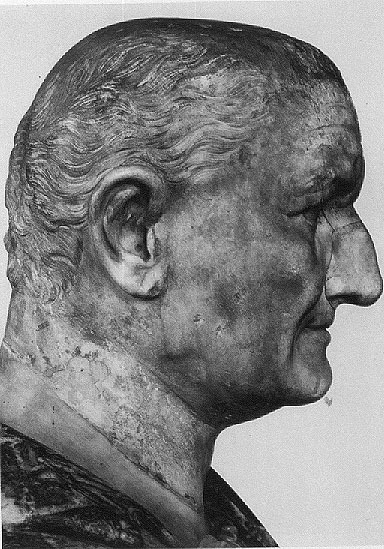 Vespasian never saw the finished job when he died June 23rd, 79, shortly before the architectural wonder was completed in the year 80 by his son and successor emperor Titus.